Very little is known about this mysterious man. What we do know is that he takes great pleasure inflicting pain on his opponent. He seems to have an extensive knowledge of the human anatomy which makes him all the more dangerous. 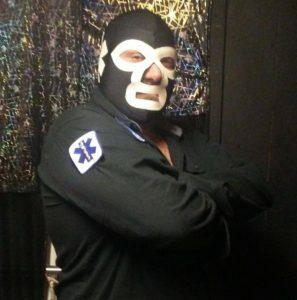 The EMT has reemerged recently and seems to be a force to be dealt with, only time will tell.